With 219 themes (and counting) to choose from, you are sure to find the right one for your site, whether you’re looking for a magazine layout, a photography portfolio, or a tumblelog theme. With so much variety, though, bloggers both new and seasoned sometimes find it tough to settle on one. Here to help you ask the right questions are bloggers just like you, walking us through their own decision-making process. It’s been a few short weeks since Twenty Fourteen, next year’s default theme on WordPress.com, made its first appearance. It’s already generating a buzz, with thousands of sites switching to its versatile, professional-looking design. For Kerry Murphy, who runs the NASCAR news blog The Final Lap, the timing was right: “This is the type of theme I’ve been waiting for. It’s very clean and simple, but makes an impact. It looks professional, and displays all my info in an efficient manner.” AB, the photography-loving blogger running Perspectives on life, the universe, and everything, had a somewhat different calculation in mind. “I wanted a theme that worked well with my blog, which is comprised of photos from all over the world. This one really complements what I am trying to publish, and it allows readers both on PC and mobile devices to see my site how I want them to see it,” he says, referring to Twenty Fourteen‘s responsive design. You should always look for a theme that strikes a balance between looking good and being functional. Look at blogs you like and figure out what makes you like them. Then decide what is most important about your blog and find a theme that allows the important stuff to shine. A recent arrival on the scene, Writr, a tumblelog theme at once subdued and sophisticated, is perfect for those who like to put their content in the limelight. “Writr is content-focused, just like me, as I fancy myself a writer. But when I am not feeling particularly inspired word-wise, I post photos of my cats or links to They Might Be Giants’ videos, and Writr makes them look snazzy without any fiddling on my part,” confesses Halsted, of cygnoir.net. She’d just switched to this theme last week. For Amy, the blogger behind Lovely Does It, it was all about flexibility and versatility. “I was looking for a theme with a good layout and that looked clean and professional, but also one that I could play around with and customize.” She particularly appreciated Writr‘s many out-of-the-box, free customizations, like multiple color schemes and a custom header image. How did you choose your theme? Was it love at first sight, or a long process of elimination? Share your experience with us! Just chose my new theme today. It took me 3 hours to find the right one and to make it the way I wanted! So happy with the final result! Congratulations! Which theme did you end up choosing? but its just organized and simple to get around, exactly what I was looking for. Exactly — it’s wise not to be too swayed by the declared “subject” of the theme — as you saw, what’s important is that you liked the look and functionality of Forever. Its relation to wedding sites is totally irrelevant (unless you actually are looking for a wedding site, of course). Anyways, I did end up buying Custom Design. I guess to everyone its own 🙂 I thought if I want to be serious with this blog I need to do it right. Making myself comfortable with my own space is the first most important step (in my book). The more themes there are. maybe the greater the chance that “the right one” exists in there somewhere. But the more there are, the harder it gets to find that right one. The tools to explore and narrow down options on WP.com aren’t very good to be honest. I use the Grisaille theme. It took me a couple of days to decide on that though. To help assess the best for me, I wrote a couple of different style posts that I thought I would generally write, and then simply tried the 10 or so themes I fancied until I was happy with the basic result. Some themes were more restricting than others, which I found out the hard way and had to change a couple of times – such as which widgets work with which theme. I managed to customise it a bit, well as much as it allowed for a freebie theme, but I am very happy with the result, and to be honest, even if I could afford to upgrade to a paid for theme, I would have to think twice it it was even worth it (for me and my blog anyhow). Sounds like a solid process you’ve worked out there. It’s also true that a bit more time spent upfront can pay off great dividends in the future, as you don’t need to change and tweak as much. I chose mine because it’s simple. Like me. I keep thinking if a change but I like it and see it as easy to navigate and see exactly what is on offer. I sprung for the fantastic “The Little Story” when I re-launched a couple of months ago. I tell little stories, the design is utterly charming, the blog is about the surreal world in which I live… it just made sense. I chose The Comet for two reasons: it provides the right recipe of layouts and features, and it gives me the ability to cameo my son’s photomicrographs of brain cells as the custom header and background of my blog, very apropos to the blog’s topic of living with bipolar illness. I change themes like new shoes! But I’ve finally settled on Adelle. I like it because it has social following buttons, ribbon graphics, and other nice graphic touches. I paid the small fee to customize is, and have had a lot of fun figuring out CSS to change the borders and colors. I’d like to point out an important point this makes…although Kylie changes her theme often, we (her readers) do not see it as a drastic “what happened here” thing because “The Life of Kylie” has a real visual brand. No matter which templates Kylie uses, her blog is still identifiable as her own. LOL it’s true and you’re welcome. That’s a great testament to a smart use of a theme — i.e. for function and layout, more so than the actual “look,” which can be customized with a few personal (branding) touches. Thanks for pointing this out. I started JoyReturns using Spectrum. Then I upgraded to Lucious in November 2009 along with Custom Design. Lucious to me is joyful and professional which is perfect since I reference the link on my resume. Great point about themes matching not only our topics, but also our target audience. I love using Zoren, especially how easy it is to change the colors so that I can read all my pages! My last theme was great for the color scheme I like, but you couldn’t read half the pages and links. My only issue now with Zoren is I can’t figure out how/if I can change the color of links in my text, since the default doesn’t fit my color scheme. You can, in fact, change the color of links with the Custom Design upgrade, which includes Custom Colors (as well Custom CSS, in case you want to be even more hands-on with your site’s design). Well, it already looks great now, and as you say, nothing stops you from going for it at any point in the future. Many thanks for including my humble site in your article, I also like the feature of adding a photo at the top, allows you to define the mood of your site. My pleasure! And I totally agree about the custom header image — for a simple, easy, free option, it makes a huge difference. I have two blogs. When I set the first one up I was not in the habit of reading blogs. However I am happy with my choice of Wu Wei. I wonder how much I was influenced by the pretty flower in the example! I switched to Zoren also. It was a good, smooth move from Able … similar enough to make the changeover easy, but different enough to lend a bit more structure. Very pleased. I agree it’s a non-obtrusive, but highly versatile theme — glad you had a smooth transition. As a Holistic Health Practitioner I work with people’s energy signatures. The energy centers on the human body are known as chakras. Each chakra corresponds to a color. With that in mind, I use the SPECTRUM theme. My blog is relatively new, and I chose Twenty Fourteen for it. The only thing I didn’t like about that theme, was ‘too much black’ for me. I have a few months left of a customize upgrade, so I could change the colour and am really happy with it now. Feeling very uncertain whether to upgrade again in March when it runs out, Probably more, new themes, will be out by then, and I like change. I’ve even looked at the premium ones, and only found three or four that were reasonably priced for what you get. I DO appreciate all the work it takes to create a WordPress theme, but … it would be interesting to see how many they’ve sold for $115 for example. You still need the $30 upgrade to be able to ‘fully’ customize them, from what I understand. I chose my theme for a number of reasons. One, the logo was able to be worked nicely into the theme. It looks good. I like the idea of a circular logo on top of the site. Two, I like that the font is big and legible. I really wanted my site to look and feel literary and smart- like reading from a classic book . Three, I like the custom menu for its flexibility. Adding pages (now that I know how to do it) is a breeze. This theme is perfect for my writing. I’m using “Shine On” now for the holidays, then I will probably go back to Splendio. I like Splendio for the balance between color/whitespace and readability of the fonts in the widgets and posts. Three months ago I changed my theme. It took a lot for me to decide to do it as I wanted to maintain a regular look and feel that my readers could get used to. Being a food blog, it is so often a delicious picture brings in the reader as an interesting title or recipe. My old theme was text focused so I decided to change. I am now on Delicious Magazine which makes great use of pictures and allows me to easily manage the front page so much better. I just changed to Pilcrow after seeing another blog using it. I only think I do not like is you cannot change the header photo to one of your photos unless you purchase the upgrade. Oh well, I know it is a lot of work for an upgrade. I like Twenty Fourteen and almost changed to that one. WordPress did a great job. I still might change over since I really think that it would work well with the type of blog I have. I have many topics like magazines tend to. I try to keep my photo and other items smaller for people who do not have fast connection like me. I also try to keep it easy to read for people with problems like being color blind. I have not tested my new blog yet but hopefully it is all right. Hi Lisa — you can certainly change your header image (for free) on Pilcrow. A custom header image is always a free option on the themes that support it. To change your header image, just go to your dashboard, then head to Appearance > Header, and upload any image you wish. It’s really that simple! I ended up picking Nishita for my photoblog, because I prefer a simple one column look and it lets me post pictures 1000 pixels wide. Also, with the custom upgrade I was able to make some small tweaks to make it more my own. I’m happy. I picked Chateau. It’s simple with a shot of style on the side. I have changed from 2012 to 2013 and am very happy with the theme. So much so I’ve paid to customise it. I am taken with kiore Moana (sea horse) not least because I’m a Kiwi but……. I am frightened of the large font and do not understand if my customisation payment is carried over to another theme. 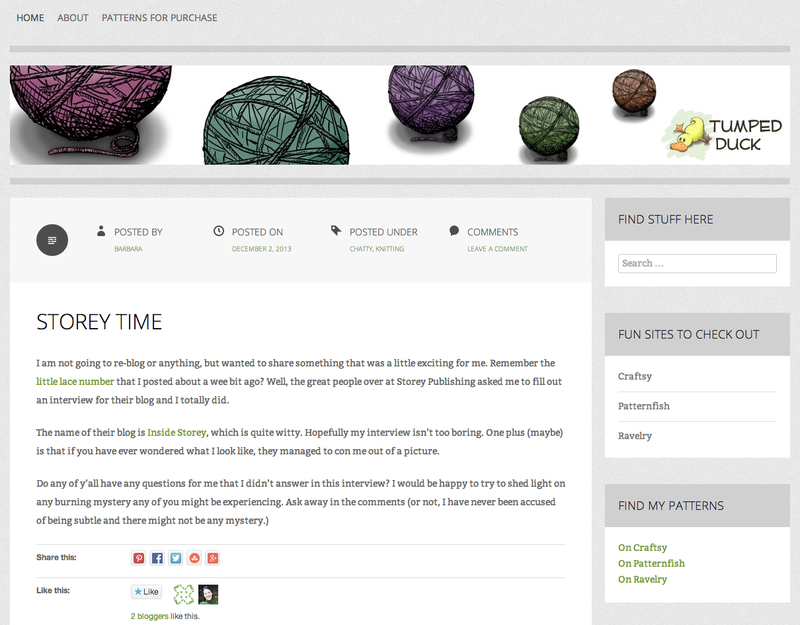 I’m happy to hear you’re satisfied with your theme and the customizations you’ve added to it. It’s important to note, though, that your Custom Design upgrade stays active no matter how many times you switch themes — the upgrade is per blog, not per theme. So you can test as many themes as you wish, and customize them in whatever way you want. oooh – a Christmas gift. I have several blogs and spent a good deal of time reviewing, pondering and even testing out many themes for each one before choosing. How did I choose…all gut feel and looking for the best presentation for the subject. For my art blog Hero is awesome for setting off my art works…I just love the striking shot of orange with solid black background. To really enjoy viewing my photo blog I purchased the premium theme Full Frame…the full screen feature front page is stunningly large. My environmental blog uses Adventure Journal with a varying nature photos custom header and pine bows custom background…the font is big and easy to read…a real plus. My dog grooming blog uses Bold Life which offers a natural toned backdrop for this informational blog…and again that shock of orange color spices it up just right for me. I am really drawn to one of the newer themes, Kent too; I love the simplicity which allows the written word to shine. Wow, what an impressive spectrum of topics (and themes)! Thanks for sharing your selection process with us. A Frankensteined theme — love that. I selected Vigilance. It offers all the options I want, without being too flashy and distracting from my message about stopping child sexual abuse. It seemed perfect for Vagilantes.com when I notice the theme’s name since the best way to stop pedophiles is to be vigilant. Thanks for waling us through your selection process! I am always very conflicted when this subject comes up and I am pretty sure i am one of the Lone Rangers on this…scrolling blogs bother me. I am more apt to read more posts and go deeper into someone’s blog if I have a variety of options I can see at a glace…which is why I use Suburbia. I do not write a “niche” blog so it is important — as a good host, that I make it easy for my potential readers to see if there is something that may interest them when they pop in. the only thing is I cannot figure out how to make the last two posts more prominent like it shows in the theme images. also, I meant to add, I am considering changing my theme after almost two years and am open to any suggestions everyone might have. – Set the desired post as a sticky post. This can be any post; you can decide whether it’s the most recent ones, your most popular ones, etc. (the number of featured posts that you can add, if any, differs by theme). – Make sure the post in question contains a featured image. Once both of these are in place, the theme does the work for you and creates that featured posts area automatically. I use a private test blog (after a great Daily Post suggestion) where I test themes, widgets and appearance changes before I make any changes to my main blog. At the moment I’m using Dusk to Dawn theme which I think suits my writing/food/photography style well. I constantly play on my test blog though so it could always change! Thanks for mentioning the test blog idea — it could be a useful way for some bloggers to try out new themes, layouts, and features without actually making changes to their main blog. Sounds like a reasonable plan — if you’re already pretty satisfied with your choice, and switching might require more time than you can spare at the moment, sticking to your theme and maintaining your blogging rhythm is definitely a good idea.